Indulge in a perfect shower with the Grohe Rainshower 360 DUO head shower and arm set. 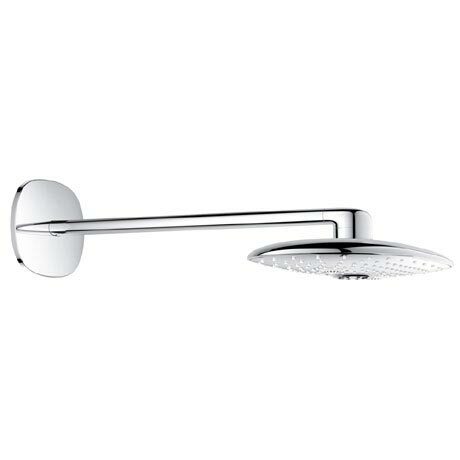 Consisting of a large lozenge shaped shower head and high grade shower arm finished in hard-wearing GROHE StarLight chrome. Thanks to the integrated GROHE DreamSpray technology it will envelop your whole body in a perfect water flow. Comes with a choice of two combinable spray patterns: either the relaxing PureRain or the air-infused GROHE O2 spray (to be set during initial installation) and the revitalizing GROHE TrioMassage spray.